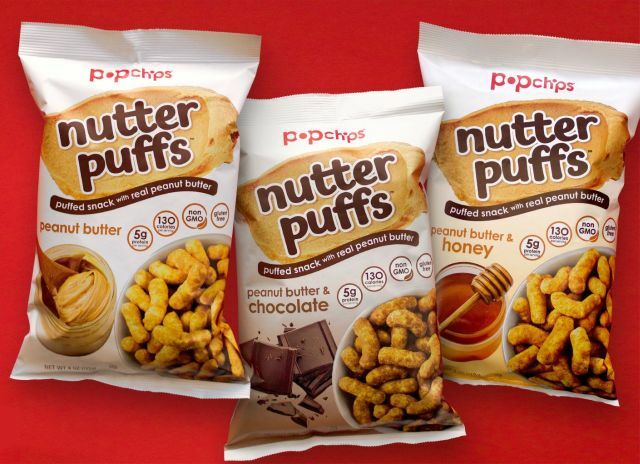 Popchips adds peanut butter puffed snacks to their repertoire with the debut of new Nutter Puffs. The non-GMO, gluten-free snacks comes in three flavors; Peanut Butter, Peanut Butter & Honey, and Peanut Butter & Chocolate. A serving of the new sweet and salty snacks contains 130 calories and 5 grams of protein. You can find new Nutter Puffs in 4-oz bags with a suggested price of $3.99 per bag.